The list of actors returning to X-Men: Days of Future Past just keeps increasing. Previously, we knew that Patrick Stewart, Hugh Jackman and Ian McKellen would be returning to the franchise, but we weren’t sure if there would be more. 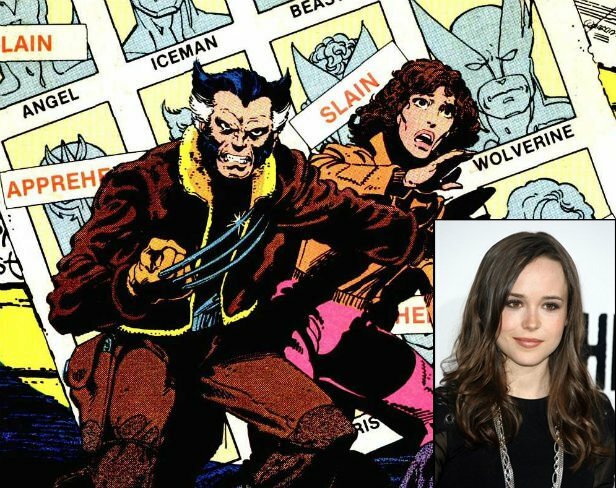 Now, director Bryan Singer has confirmed that Anna Paquin, Ellen Page and Shawn Ashmore would be returning too, reprising their roles as Rogue, Shadowcat and Iceman respectively. I guess it shouldn’t be a major surprise that Kitty Pryde/Shadowcat is returning as she was a central character in the original storyline from the comics. Of course, they won’t be adapting the story exactly and we don’t know how big of a role she’ll play in the movie. But I am excited to see Ellen Page back in the X-Men world. The chemistry between her and Jennifer Lawrence (who plays Mystique) should be exciting. It remains to be seen whether other X-Men will return as well but Singer’s Tweet seems to imply that the dead ones won’t be back, such as Cyclops or Jean Grey. We aren’t even sure of some characters from X-Men: First Class as both January Jones (who played Emma Frost) and Rose Byrne (who played Moira MacTaggert) haven’t heard anything about returning for the sequel. At the moment though, I am happy to see that so many cast members from the first trilogy are indeed returning, and hopefully they’re not mere cameos. The interaction between the older and younger versions of the main characters is what I’m most looking forward to. There is lots to get excited about as the film is shaping up to be a much bigger movie than we may have initially expected. X-Men: Days of Future Past is set to release on July 18, 2014. Are you happy that Rogue, Shadowcat and Iceman will be back? Who else would you like to see return? Let us know in the comments.